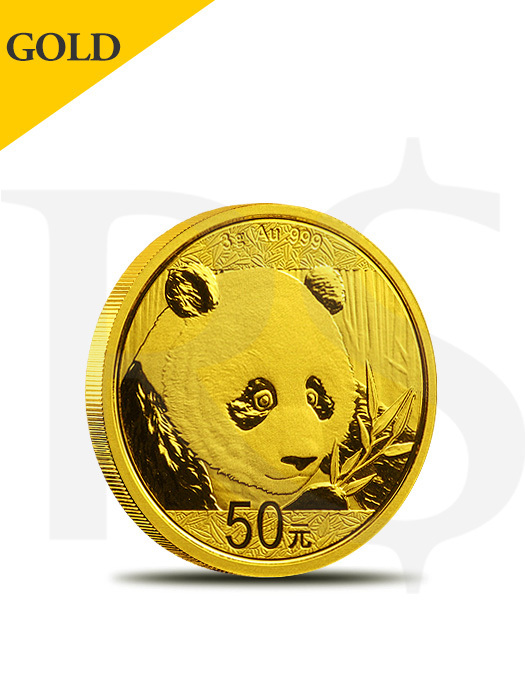 This superb 2018 3 gram Chinese Gold Panda 50 Yuan Coin is the newest issue in the adorable Gold Panda series from the well-known Chinese Mint. The Chinese Gold Panda coins are the iconic gold bullion coin series produced by the People’s Bank of China. The Gold Pandas were first introduced in 1983 and they have been minted every year since then. This splendid coin program is internationally praised for its unique panda reverse image, each year depicting a new image of the beloved bear. The only exception was the years 2001 and 2002 when the coins carried the same design. 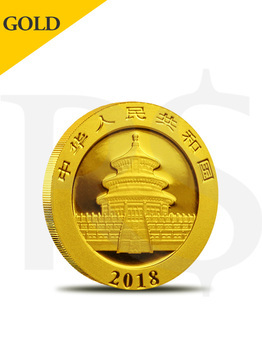 This beloved coin program is struck in the Shenyang, Shanghai and Shenzhen Chinese mints in various denominations and finishes, but don’t carry any mintmarks. For this reason, this exceptional coin is a wonderful gift and a fantastic addition to any portfolio. Made from .999 fine gold with a weight of 3 grams. Minted by the renowned Chinese Mint. Individual coins come in original mint-sealed plastic. Carries a face value of 50 Yuan. Chinese legal tender assured by the People’s Bank of China. Obverse: Showcases the Chinese Taoist temple from Beijing - the Temple of Heaven and its Hall of Prayer for Abundant Harvests. Inscriptions: Chinese characters for “People’s Republic of China” and “2018”. Reverse: Represents the newest image of the lovely panda bear. Engravings: coin’s denomination, weight, and purity.